Smøla – gateway to the Atlantic; the perfect cruise destination. We would like to welcome you to our page. Here you will find information about our project, pictures and updates. Please, do not hesitate to contact us if you have any questions. The 43’254 tonnes “The World” will call at Dyrnes, Smøla in 2018! In 2017 Smøla had the pleasure of welcoming a total of 3 ships to Dyrnes. In 2018 there will be two calls in the summer season. Most notable is that “The World” will call at Smøla on the 30th of August 2018. We look forward to welcoming both “The World” and “National Geographic Explorer” to Smøla! Continuing the success of 2016! After a great success last year, with both NG Explorer and NG Orion calling at Smøla, we are pleased to inform that Smøla will have 3 calls i 2017 as well. On the 19th of May both the NG Explorer and the NG Orion will arrive at Smøla, and on the 12th of June the NG Orion will call once more at Smøla. In 2016, Smøla will increase to three cruise ships calls, spread out in the period May-July. All three calls are by vessels from the Lindblad Expeditions’ fleet, but we will see a new ship this year. As well as the already scheduled arrival of “National Geographic Explorer” in May, the newly acquired vessel “National Geographic Orion” will call twice, in July. Successful first call at Smøla! At the 27th of May 2014, “MV National Geographic” called at Smøla. It was a great day, both for the locals and the guest. Smøla has proved to be a magnificent cruise destination. 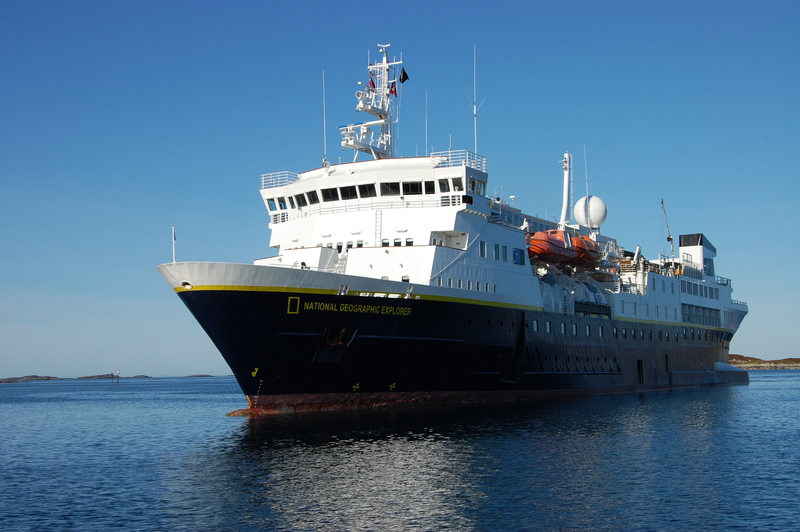 National Geographic Explorer will call at Smøla again next year, at 22nd of May. Please see attached links from local media about this event. Though Cruise Destination Smøla offer several ports for our visitors, we currently use Dyrnesvågen as our primary port. 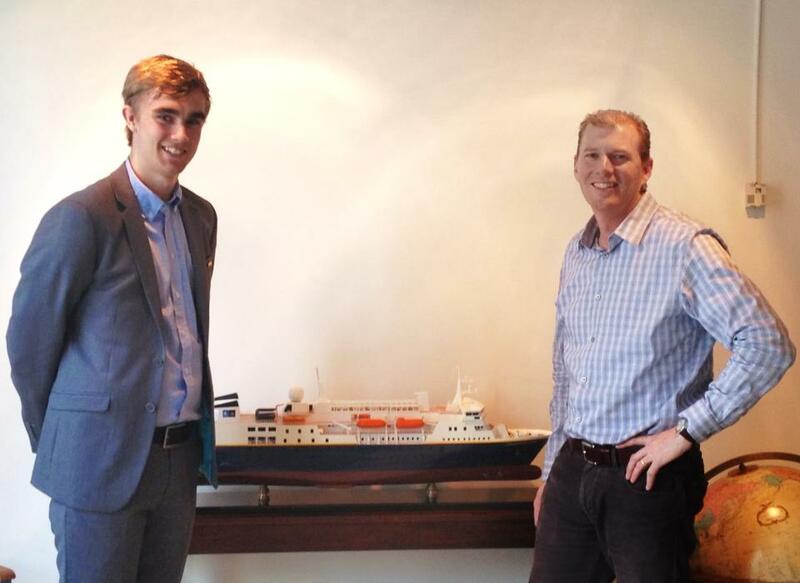 As a part of planning the first ever cruise ship arrival to Smøla, Sindre Holberg from Cruise Destination Smøla travelled to Seattle to meet with Lindblad Expeditions. The purpose of this meeting was to plan the visit.